The civil conflicts in Libya and Syria, together with the consequential steady rise of IS, spurred migration flows towards the neighbouring countries and the EU, thus originating an humanitarian crisis. The Mediterranean and Middle eastern area is the most directly concerned by migrations for several reasons. Besides geographical proximity, those who are leaving now are less wealthy and, for this reason, they cannot afford to embark on such an ‘expensive’ – in every respect – travel towards the EU. Data from the UNHCR show that Syrian refugees overcome one million in Turkey, are about 134 thousand in Egypt and nearly one thousand in Jordan. Lebanon, the second country in the world for refugees hosted, hosts more than one million and is considering the opportunity of restricting access to Syrian refugees and creating refugee camps. Similarly, Jordan has limited the entrance to Syrians. As for the migration flows from Libya, these usually addressed mainly bordering countries, especially Tunisia and Egypt. The outbreak of the civil conflict caused a rise in displaced people and asylum seekers who, as of October 2014, were around 64 thousand. Nonetheless, only a few managed to receive asylum because of the blocks at the frontiers imposed by Egypt and Tunisia. The others, either became ‘internally displaced people’ or tried to reach UE’s southern shores. Italy and Malta are the first countries to be concerned by the phenomenon, due to geographical reasons. Data refer of an increase of about 288% in illegal arrivals between 2012 and 2013. Last year the illegal immigrants Italy were 219 thousand. Actually, Italy is not the final destination which migrants aim to reach: this is demonstrated by the fact that refugees in Italy are 1/3 of those in Germany. Nonetheless, international and humanitarian obligations force Italy to help migrants, regardless of all the difficulties. The ‘Triton’ operation, which took over from ‘Mare Nostrum’, has revealed ineffective: just think about the 1800 deaths already occurred as of May 2015, compared with the three thousand of the entire 2014. Last April, around 900 hundred people are estimated to be drowned in the Mediterranean. However, the tragedy managed to stimulate a coordinated response from the EU institutions to the issue. The European Council, which held a special meeting on 23th April, pledged to at least triple the financial resources in 2015 and 2016 of Triton and Poseidon, to achieve more effective cooperation between Europol, Frontex, EASO and Eurojust and with the regional partners, as well as to set up a first voluntary pilot project on resettlement across the EU. The general approach adopted by the European Council rises two types of problems. First, the EU does not already have a real common policy on asylum and immigration. Second, the increase in the budget of Triton cannot counterbalance the limited mandate of the operation alone, which is responsible of patrolling only 30 miles off the Italian coast. 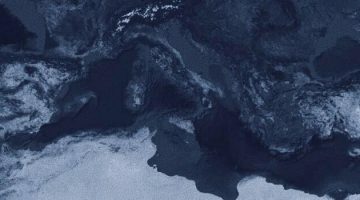 This problem was addressed on 29th April by the EU Parliament, which issued a resolution aiming at widening the scope of Triton at EU level and calling for the creation of a solid and permanent humanitarian research and rescue operation like Mare Nostrum. Furthermore, the resolution stressed that the EU Member States should step up their contribution to the resettlement programs and transpose into national law the rules of the ‘Common European Asylum System’. Moreover, the EU Parliament urged the creation of a system of quotas to equally distribute the refugees between the EU Member states. The new approach is also supported by the EU Commission which outlined on Wednesday its immigration policy, aimed at applying the system of fixed quotas, the resettlement mechanism and at organising the legal means for migrants who want to come to Europe. Despite the convergence at the EU institutional level, the Commission’s proposal met the opposition of some EU countries, notably the UK, Hungary, Slovakia and Estonia. Nonetheless, the EU gave demonstration of greater unity as it backed its High Representative’s intervention of last 11th May at the Security Council. The latter was asked by Ms Mogherini to pass a resolution authorising the EU to intervene against the traffickers’ vessels so as to curb a crisis which is more and more gaining the features of an international threat to peace and security. In the same day, Peter Sutherland, the UN Special Representative for International Migration, lodged a declaration in which he recognised the situation as a security crisis while merely urging, in response, a more intensive dialogue between the UN and the regional actors. Sutherland’s declaration was issued while some European states were told to be drafting a resolution authorising an intervention under chapter seven of the UN Statute. For this reason, many commentators claim that the UN’s representative statement reflects some people’s reticence, such as the UN Secretary General, towards a military intervention as it is very likely to be vetoed by such members of the Security council as Russia and China. Also the Libyan Representative at the UN expressed his country’s contrariety to the use of force against smugglers.